When you resign, it is always nice to keep a good relationship with the people you have worked with and the company. Resignation is not always about something bad; it is also a way of a transition or going to a better place. As you move on, it is also growth. 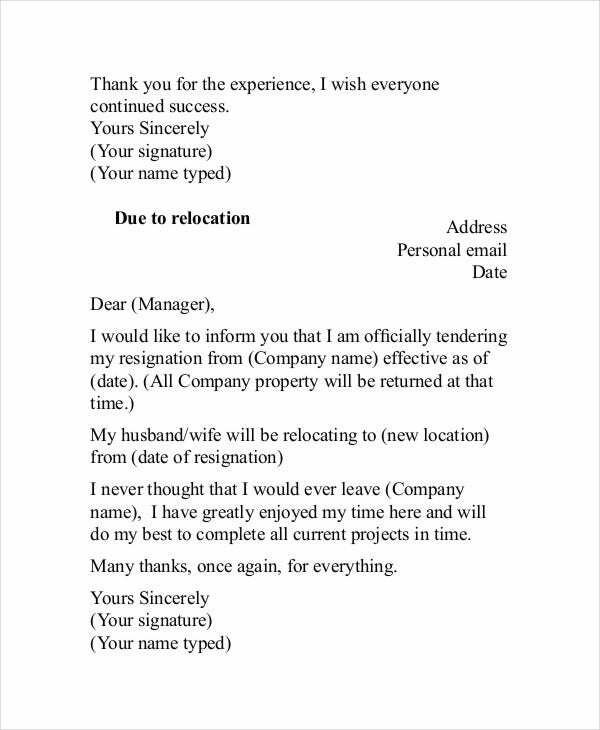 Just like it is important to have a well-made Free Letter of Resignation, it is also important to have a well-made thank-you letter when things have been finalized on your part. 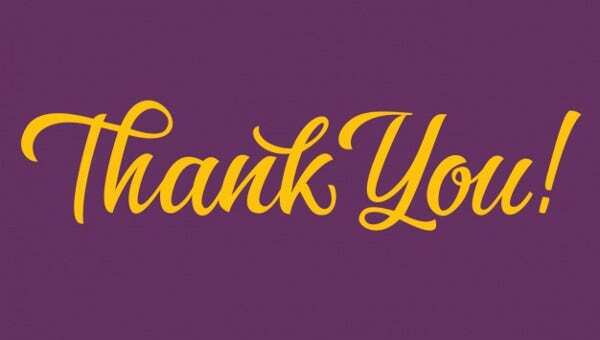 A thank-you letter is important as it allows your colleagues to know your appreciation toward them as well as a way to let them know that the bonds you have formed with them would not fade. Just like any letter, your thank-you letter should follow a business letter format. 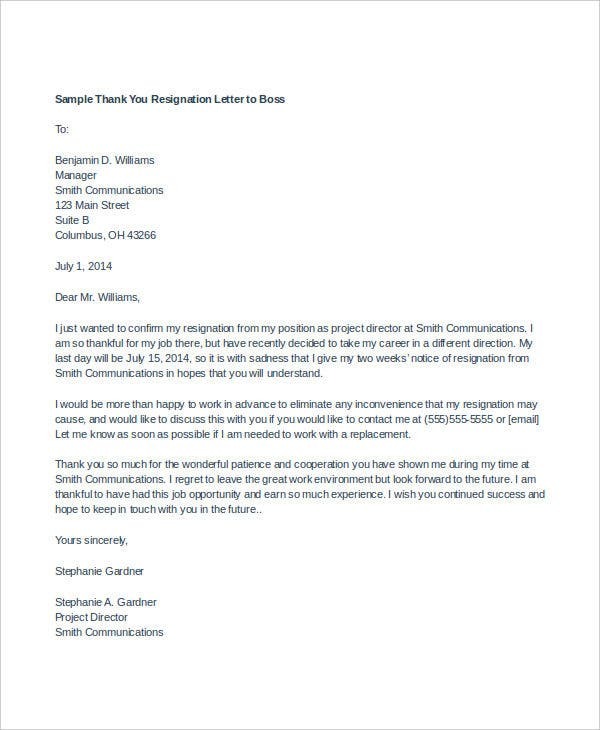 Formally send them your thanks to show that even though you are departing, you still have your professionalism with you. Your details. At the very beginning of your letter, indicate your name, return address, and contact details. 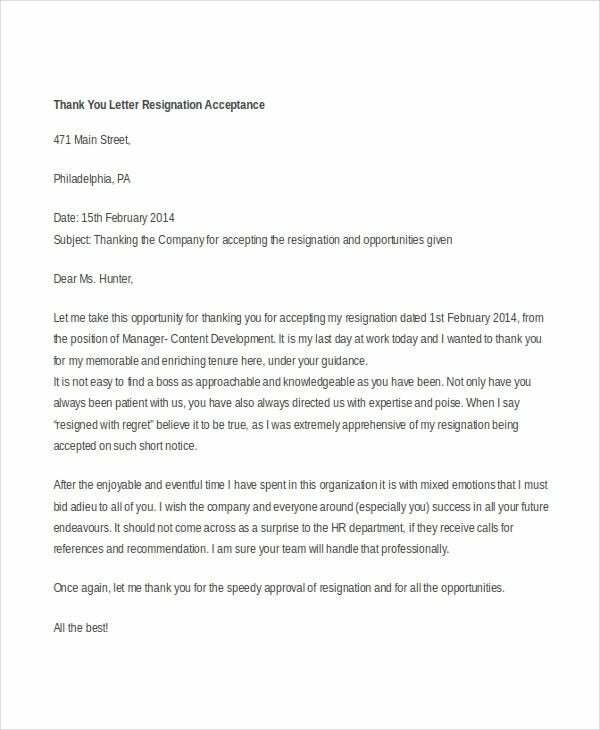 It is important that the receiver know whom it is from and where to send their response and other ways to contact you if they have something they wish for you to hear in accordance to your departure of the company. Salutations. It is important to address the name of the person to whom you are writing your thank-you letter. Address them properly to show your respect for them. Content. The content is the most personal part. Tell them the reason why you are sending them your gratitude. There is no need to get mushy or too personal; all you really need is to express your gratitude. On the second paragraph, indicate your apology for the inconvenience of your departure that may cause them. It shows the receiver that regardless of everything that you still care for them and the company. Sincerely. End your letter with sincerity. It is important that you show them that your letter has your sincerity embedded on it, and along with it, indicate your name and signature on top of it to show that it is an authentic letter coming from you. Check out Thank-You Letter To Boss for other samples that can help you compose your letter. When you are in a place where you have established numerous bonds with people who you would call your family, those bonds are as important as those you have with your real family. It is customary to send them a thank-you letter. Most of us would forget and take this for granted, but the beauty of sending one to your previous colleagues will allow you to continue those bonds for a lifetime. Although friends are known to come and go, those with whom you have experienced hardships would always remember you and you to them. 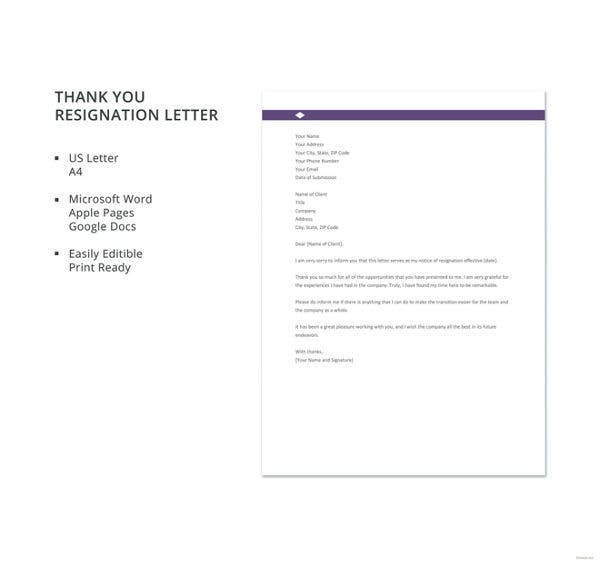 If you need help in writing your resignation letter, check out our selections of Resignation Letter Templates, and if you need a guide in writing your thank-you letter, the samples available in this article are all free for you to download and use as a reference material.